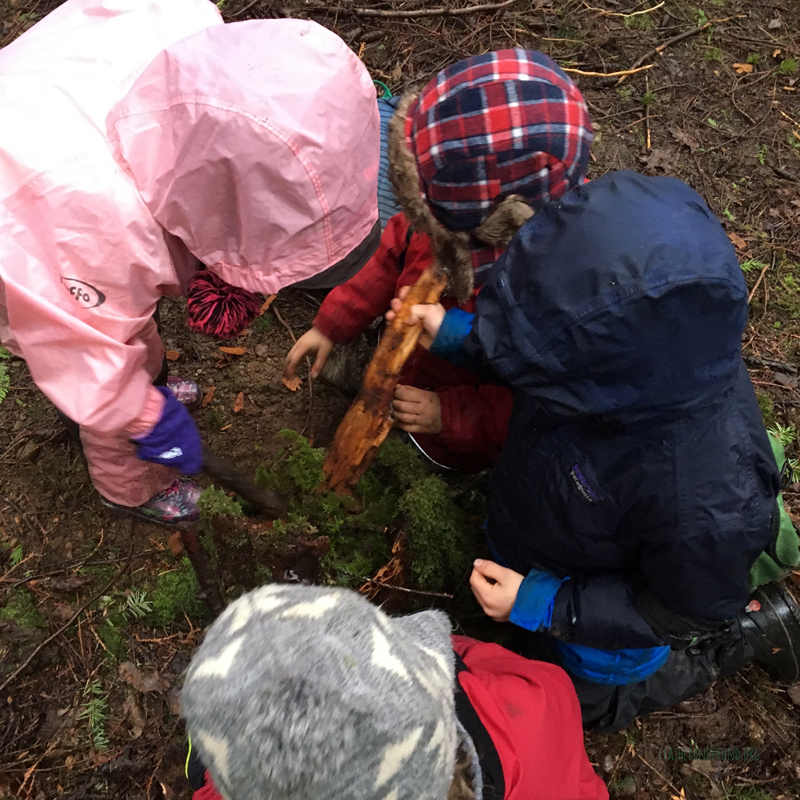 When the weather gets wet we go searching for salamanders and frogs… What a fun, froggy kind of a week we had with our Fox Walkers this wet week! I just wanted to take a minute on spring break to share some pics from this past week. We had a blast all week learning about our local amphibian species and searching for adults and egg masses! Nature does provide and we found salamanders everyday and a few epic Northwestern Salamander egg masses in a sunken pond in the forest above Fairhaven Park. Melissa was so excited to show this amazing natural wonder to the kids that she waded in the knee deep cold pond barefoot and without waders! If thats not love I don’t know what is… I feel blessed that I get to work with such an amazingly dedicated and talented Nature Mentor each and every day. Other highlights at Fairhaven included: just getting to the Salamander Swamp and the adjacent forest zone we dubbed Salamander Wood, making "forest soup", an epic bushwhack where we found an Ensatina and some mysterious tiny eggs under a log, helping Douglas Fir by pulling off long 30 foot invasive english ivy vines and weaving frisbees and baskets, mud tracking, cedar horses, and some close encounters with the local deer. Other highlights at Whatcom Falls included: playing Bullfrog in the Swamp, finding an Ensatina who has lost their tail and we regenerating it finding multiple species of salamanders (Ensatina, Long-toed Salamander and Western Red Backed), and playing Ravenspy! Hope everyone is enjoying your week off, I know we are (Wait, its almost Friday!?!?) See everyone next week, Spring is on! Big Leaf Maple Blossom Fritters!